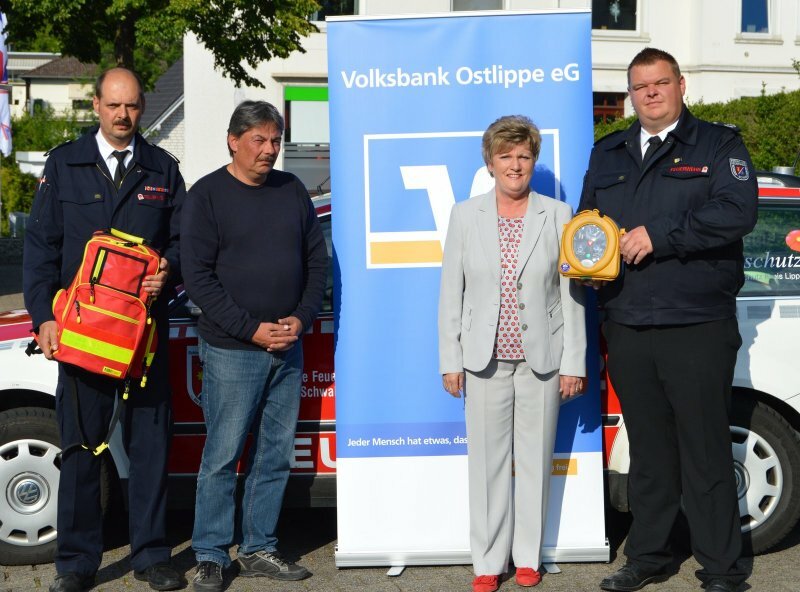 Left to right: Kai Uwe Deilke (Deputy Head of the Fire Department), Stephan Müller (Society for Emergency Medicine), Anette Bracht (Branch Manager at Volksbank in Schieder), and Mike Mundhenke (Fire Chief). Photo courtesy of LZ.de. The lifesaving AED was donated to the town’s fire department and will be used to protect the 9,000 plus citizens of the town in the event of a Sudden Cardiac Arrest (SCA), a condition in which the heart suddenly and unexpectedly stops beating. SCA strikes almost six million people a year around the world. With survival rate of five percent or less, SCA is responsible for more deaths than breast cancer, lung cancer, and HIV/AIDS combined. With 84 percent of SCA events occurring outside of the healthcare setting, it is imperative to have an AED on hand in the event of a cardiac emergency. For our German speaking visitors, you can read the full news feature by clicking here.